﻿ Cycling Vacation in Provence| Hosted| Bikes and Equipment. 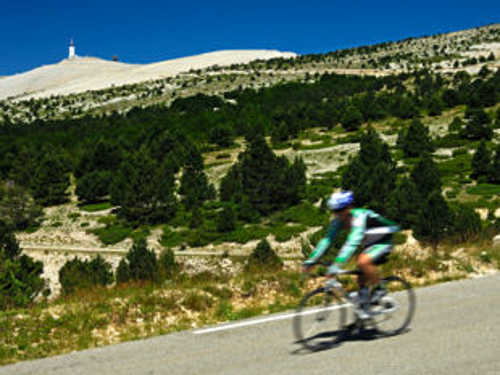 BIKES & EQUIPMENT AT OUR B&B BASED PROVENCE BICYCLE TRIPS. On the afternoon of arrival you'll be fitted and acquainted with your bike & equipment - so you can get the best from your time cycling in Provence. 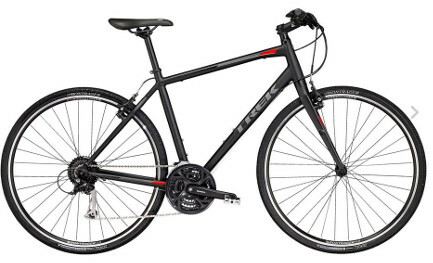 You'll be riding one of our new, quality Trek FX 3 hybrid bikes, with light, aluminium frames and carbon fibre forks. We use hybrids as they have the slightly more upright riding position of a mountain bike, and are more comfortable to ride than a road bike. This riding position, combined with tyres that are thicker than on a road bike, gives you increased stability & safety on the road. We also use bar ends on all of our hybrids. When biking in this position, the bar ends give you more of a low profile position for when you want to go fast, and a second position on the bike to help stop bike fatigue. They also make getting out of the saddle and climbing easy and effective. The bike's components are mostly Shimano - easy to use, tough and reliable! Plus the 27 gears available will make any hills a little easier! All of the above mean you should be comfortable on your bike whilst getting the most from your efforts! Our bikes have standard pedals, but we can supply, if you wish, Shimano SPD automatic pedals. We stock the mountain bike variety SPD M520s & M540s (note we do not use the road bike SL variety). We use these pedals as the cleats are recessed into the bike shoes, thus making it very easy to walk off the bike, whilst getting the benefit of auto pedals. 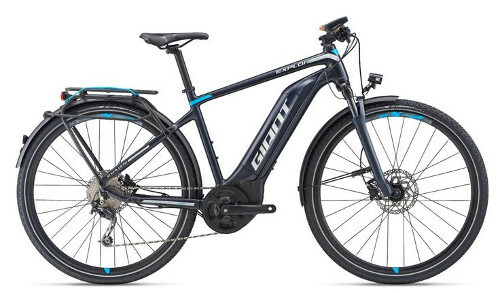 Electric assistance bikes are also available for hire, we use either quality Scott or Giant bikes. Ebikes are great for giving less able bikers, or just less enthusiastic ones, an authentic taste of the beautiful Luberon by bike. By selecting the amount of assistance you require, you get to manage the level of effort you give. The bikes are easy to ride, highly autonomous with a max range of up to 100kms. With all the equipment you could need, and with one of our new Garmin GPS you are set for an easy, carefree tour. Electric bikes can be hired at an additional €168 for your tour, including insurance - please contact us for details. Road bikes are also available for hire - usually Cannondale Synapses carbon for an additional €168 for your tour, including insurance - please contact us for details. 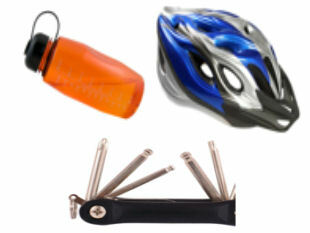 - An under saddle bag containing a puncture repair kit, tools and a spare inner tube. A light weight pump is also attached to the frame. - Rear pannier racks and bag. - A water bottle - yours to keep. Supplying you with a bike & equipment means of course that you don't have the trouble and expense of having to transport your bike to Provence. If, however, you want to bring your own bike on vacation that's no problem, if you could just let us know at the time of booking. 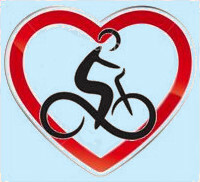 "The bikes were in good shape and well cared for. Neil worked hard and tweaked the bikes when necessary to make sure everyone was comfortable with their ride. The Garmin tracking system allowed us to ride along routes we could never have found on our own"
Dream30225 - Canada - June 18 - Provence cycling trips review. "The bicycles were in an excellent mechanical condition and made the rides enjoyable and easy-going." 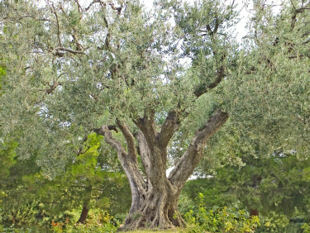 Ruth & Guy - Israel - Oct 17 - Provence cycling trips review. "The bikes were first rate hybrids and Neil has assembled an outstanding list of rides that make extensive use of little traveled roads. " Kellie - US - July 15 - Provence cycling trips review. "Equipment: Bikes were in great condition. They shifted very easily, even on the steep stuff. Great brakes. Neil fitted our saddles and peddles and made adjustments to make the bike fit like ours at home." Eric - US - Oct 14 - Provence cycling trips review.
" I took good advantage of the cycling to see the region using a high quality and well equipped bicycle and easy to use GPS. " Colleen - Canada - June 13 - Provence cycling trips review. Gill - Australia - May 12 - Provence cycling trips review. T & E Calnan - UK - July 12 - Provence cycling trips review. "Great bikes that fit perfectly, easy-to-use locks and useful panier bags, gel cushions for the seats and water bottle holders - everything we needed for this holiday." Richard & Annette - UK - June 2010 - Provence cycling trips review. Click HERE to read more about Tourism & the Sights.